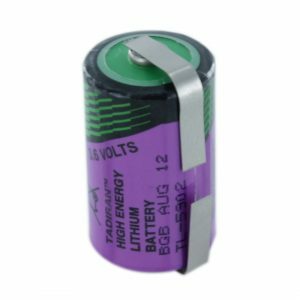 The Tadiran TL5902/S is a standard 1/2 AA size lithium battery which is ideal for long term stand-by applications. This product particularly excels in applications where higher pulses are required during its operation, for example Passive Infrared Sensor (PIR) alarm systems. They are also the battery of choice in many Wireless Alarm Systems.